The Leybold WS1001 and WSU1001 are Roots type blowers and are part of Leybold’s RUVAC series of blowers, all of which are equipped with labyrinth oil sealing technologies making them incredibly robust across a wide range of applications. The “S” designation indicates the booster is equipped with a canned motor, which is a good choice for applications where harmful gases may be present. 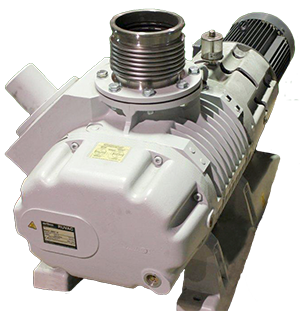 The WS1001 is a non-bypass design and requires a pressure switch to engage the booster, whereas as the WSU1001 is equipped with a bypass valve (“U” designates this) for improved pumping from atmosphere. Both models can be installed in either a vertical or horizontal orientation without internal modification. All WS/WSU 1001 booster pumps share the same data below. Download the full manual below.